What does Stillhouse Press look for in a manuscript? What’s the common thread running through space age romance, paternal combustion, plantation poetry, and disability care reform? In celebration of four productive years of publishing, we’re releasing a series of interviews with members of Stillhouse Press, from submissions and acquisition, from cover design to release, all to shine a light on the publication process. Aryelle Young is Stillhouse Press’ current submissions editor, and one of the first to have a say about what gets published. She works with all the submissions, assigning them to teams of readers, reading through reader reviews, going back to the manuscripts themselves, and sending promising pieces up the editorial ladder. Marcos L. Martínez is the next link in the manuscript chain. An alumnus of George Mason University’s MFA Creative Writing program, Martínez is one of the founding members of Stillhouse Press, and serves as the acquisitions editor. Choosing a manuscript is a daunting task. Even small publishers get a sizeable amount of submissions. “We had contest submissions open for a couple hours, and we got five manuscripts in that time alone. I haven’t been here that long but I’d guess that we get well over a hundred manuscripts a year,” says Young. It’s an especially formidable number, when considering that Stillhouse publishes an average of two titles annually. The judging process must therefore be thorough. “A lot of what I’m doing right now is outreach at things like conferences and readings, to keep an eye on authors we are interested in. I also work with our other editors on manuscripts that we think have potential,” Martínez says of his role. Each manuscript sees multiple rounds of vetting from teams of volunteer readers—largely sources from George Mason’s MFA , BFA, and English programs—who read the manuscripts on a deadline, give each one an individual score, and then discuss the assigned manuscripts together, comparing reactions. As for Poetry, Stillhouse wants something that can’t be easily fit into a simple stylistic label. “Our most recent poetry publication, [Carmen Gillespie's] The Ghosts of Monticello was actually submitted in our nonfiction contest,” says Martínez. Once Aryelle and her team find a prospective manuscript, it is then opened up for discussion by all of Stillhouse’s editors. “Generally, we all get together at a big table. We talk about what we think are the manuscript’s pros and cons. Does it fit our vision? What kind of marketability does it have? What are some of the challenges does it present? The decision to publish has always been unanimous,” says Young. Even after the unanimous vote is received, the process is not over. A proposal is sent to board members. "If they give the okay, we talk to the author and see if they’re willing to work with us." So what should prospective authors aim for? "Keep writing, and keep submitting." and a head full of empty. "American Snake Pit" will be released May 1 by Stillhouse Press. Daniel Tomasulo is a man of many degrees, from his MFA in creative writing—which helped him write his way through his forthcoming memoir, American Snake Pit —to his work in the field of positive psychology. But while his knowledge and experiece are captivating, it’s the stories of his patients that show the true value of his work. I was nervous at the start of our phone call, but the tone of Tomasulo’s voice is friendly and warm, and my feeling quickly changed. He is, after all, a psychologist by trade. His job involves setting people at ease. American Snake Pit is the story of the disregarded souls who ended up in his care after Staten Island's Willowbrook State School for people with intellectual disabilities closed its doors for good in 1987. The book details his struggle to give voices to those who could not advocate for themselves. Tomasulo’s voice is friendly and warm... He is, after all, a psychologist by trade. His job involves setting people at ease. I was curious about who he would like to meet with again, if he had the chance. Jake was an austistic savant, who Tomasulo worked with during his time at Walden House, an experimental, community-based home for the intellectually and mentally handicapped that he helped established in the 1980s, and one of the first of its kind. Jake's ability to memorize information systems—most notably the Manhattan phone book—and recall it from memory at will made his intellectual disabilities difficult for the state to classify. “He was fascinating person," Tomasulo told me. "He had many abilities, as well as disabilities." The way he described Jake made it seem like his disabilities, while handicaps, were also the underlying foundation for his remarkable abilities. This compassion and understanding is the driving force behind his work—giving a voice to those who otherwise did not have the ability to tell their stories. to help tell their story. But Tomasulo couldn’t tell his patients’ stories without first telling his own. While Walden House helped save many living with severe handicaps from a life of institutionalization, in many ways, it also saved Tomasulo, giving his early life as a psychologist its focus. Tomasulo, reading from his collection in early March at The Association of Writers and Writing Programs Conference in Tampa, Fl. As a writer myself, I have chapters of my novel that I enjoyed writing, and those that were difficult for me to write. This was true for Tomasulo, as well. It took him the better part of ten years to write his reflection on his time at Walden House, but while some of it was painful, much of his writing is infused with humor. “The chapter back with Jake was really fun to write because I was able to recall all of his antics,” Tomasulo said. He acknowledges that helping people communicate beyond their disabilities takes a certain resilience of spirit, and he hopes that’s something more people will understand by reading his memoir. “I’d like [people] to have more compassion for people with disabilities—especially with intellectual and psychological disabilities,” he told me. Thirty years after the closure of Willowbrook State School, there is still much the general public doesn’t understand about the treatment of those with severe intellectual disabilities, but Tomasulo’s American Snake Pit is a step in the right direction. seeking his BFA in Creative Writing. He has written a novel and is currently at work on its sequel, both of which he hopes to have published. to pair with your favorite Stillhouse Press selections. Carmen Gillespie’s latest collection interrupts the everyday to bring us the spiritual visitations of Sally Hemings, her half-sister Martha Wayles Jefferson, and other famed and forgotten residents of the Monticello plantation. These poems reach into the distant past to unearth songs of pain and longing, weighty with the long history of American silence that continues to circumscribe our lives today. History is a tough pill to swallow. For this, we'll need plenty of rum. Adapted from this Bon Appétit recipe, this rum punchis made to satiate partygoers and historical ghosts alike. Add all ingredients to bowl. Mix well. 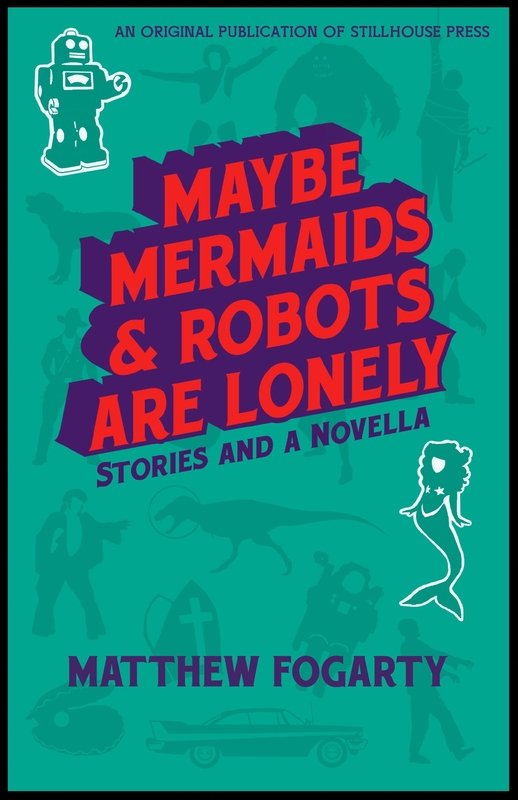 Maybe mermaids and robots are lonely. Maybe stargazing dinosaurs escape extinction, and ‘80s icons share their secrets and scams. A boardwalk Elvis impersonator declines in a Graceland of his own, Bigfoot works as a temp, families fall apart and come back together. Rumor has it, Elvis once reportedly drank so much peach brandy it nearly killed him. Adapted from Food & Wine, this brandy-based brew will take you from fabulist faraway worlds to Great Recession realism in a single sip. Add the rum, peach brandy, black tea, simple syrup and lemon juice to a large pitcher. Stir, add the water and stir again. Serve in collins glasses with citrus garnish. When Mark Polanzak was seventeen, his father spontaneously combusted on the tennis court, vanishing forever. It is also entirely possible that he died of a heart attack. 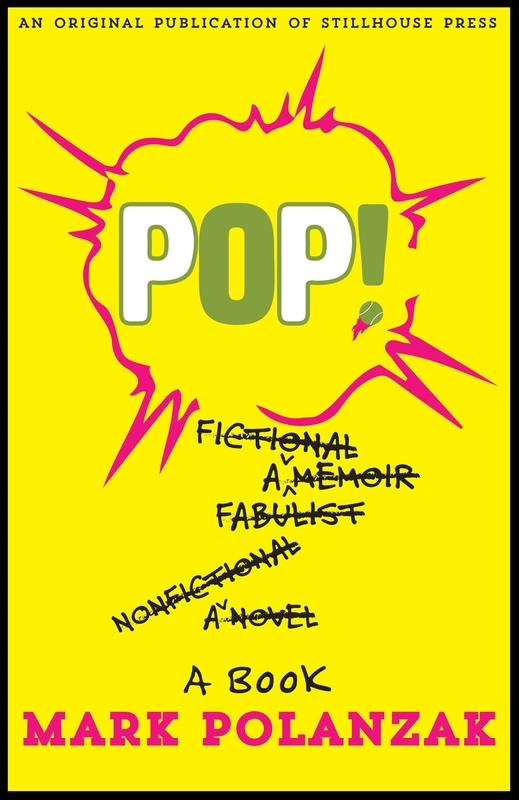 Like Polanzak's hybrid memoir, each slurp of this fizzy little number is scarcely what you might expect. Add gin, simple syrup, and lemon juice to cocktail shaker and shake well. Strain into glass, careful not to disrupt the rim. Top with club soda and serve. 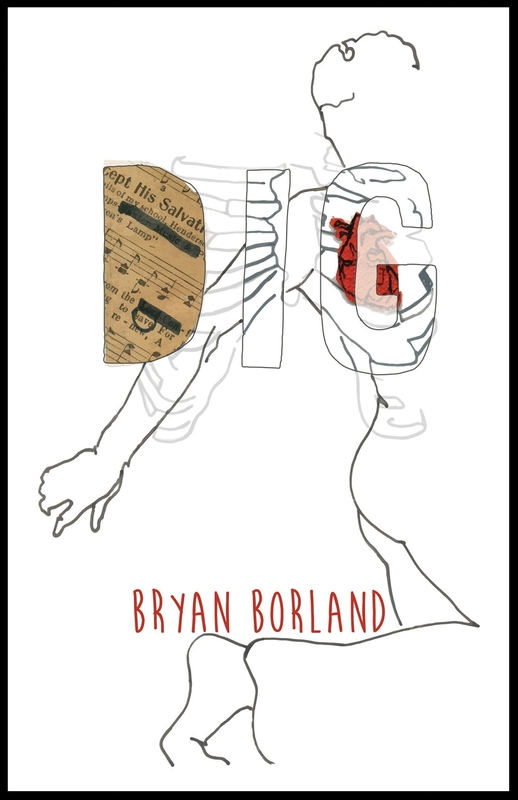 Bryan Borland’s third poetry collection examines what it means to dig—to undertake the intense labor of unearthing the personal/political/artistic self and embracing the consequences of that knowledge. their next Stillhouse fix. Adapted from this Ted Allen cocktail, you need this Manhattan like you need blood in the throat. Add ingredients to cocktail shaker. Rub an orange pee along the rim of your martini glass. 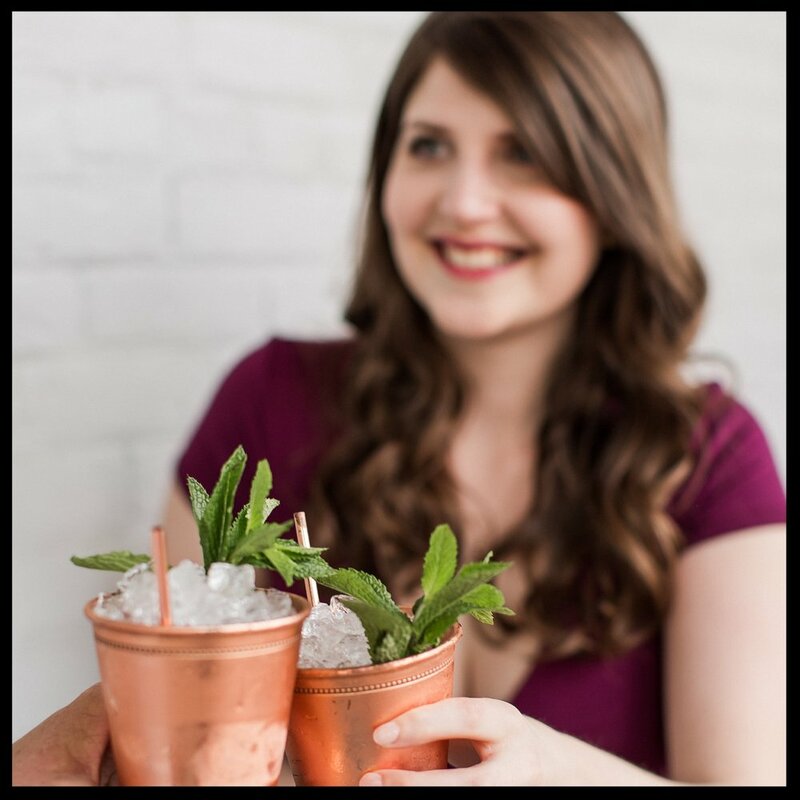 Garnish with one (or two!) cherries. For poet Anna Leahy and scientist Douglas R. Dechow, quintessential children of the Space Age, love for each other and love of space are inseparable. The moon landings, the shuttle program, the prospect of manned travel to Mars: each stop in humanity’s journey to space has marked a step in their ongoing love affair with each other and the cosmos. Adapted from the Belle Isle Craft Sprits recipe, this spacey brew will have you reaching for your dearest... or maybe just another mug of this stellar concoction. Combine ingredients in punch bowl. Garnish with rosemary and serve immediately. and an editor for the Moonshine Murmurs blog. Carmen Gillespie’s The Ghosts of Monticello, the third book of poetry from Stillhouse Press. Carmen Gillespie gladly finds time to discuss the importance of questions and [re]creation of historical figures. These ideas are central to the evolution of her latest poetry collection, "The Ghosts of Monticello: A Recitatif" (October 2017), winner of Stillhouse Press' 2016 Poetry Contest. Despite a busy week taking care of her 10-year-old and the close of George Mason's annual Fall for the Book festival, Gillespie found some time to speak with me about her inspiration for her new book and what brought her to this moment in her writing career. Although she has always written poetry, and can’t imagine her life without it, Gillespie says her love of the form has been deeply intertwined with her academic pursuits over the last 15 years. “In academics, I tend to focus on black female writers. There is so much that is still covered that needs to be excavated,” says Gillespie, English professor and director of the Griot Institute of Africana Studies at Bucknell University and the author of several books of poetry and critical works. This was certainly the case while attempting to answer some of the central inquiries about the life of Sally Hemings, Thomas Jefferson, Martha Jefferson, and others featured in her collection. Primarily, Gillespie wanted to explore the idea of whether or not Hemings had any agency in her story, especially in her relationship with Jefferson, the third president of the United States, with whom Hemings was thought to have had six children. “I can’t believe that every encounter she had with Jefferson was about violence. My understanding of human beings is much more complicated than that, so that is what I wanted to explore,” Gillespie explains. Stillhouse authors Douglas R. Dechow, Carmen Gillespie, and Anna Leahy, with Acquisitions Editor, Marcos L. Martínez at George Mason University's 2017 Fall for the Book festival. But she did not stop with Jefferson. Gillespie also wanted to expand upon what Hemings' relationships might have been like with others on the plantation, given her position as both a slave and the lover of such a powerful character. “So many people have said so much about Jefferson, but it was interesting to me to focus on her other relationships with her mother, Martha Jefferson, and her half sister, and how that dynamic would work if they were to have a conversation,” says Gillespie. Interestingly, this questioning of the past in Gillespie's collection is formed by language that was originally written to be sung on-stage. "The Ghosts of Monticello" got its beginning as a libretto for an opera performed at Bucknell University, where Gillespie enjoyed engaging with the actors and musicians. “I am inspired, energized, and sustained by theater, dance, and music performances,” she says, noting that when composing something for people to sing versus developing the structure of a collection, the writing can be quite different. 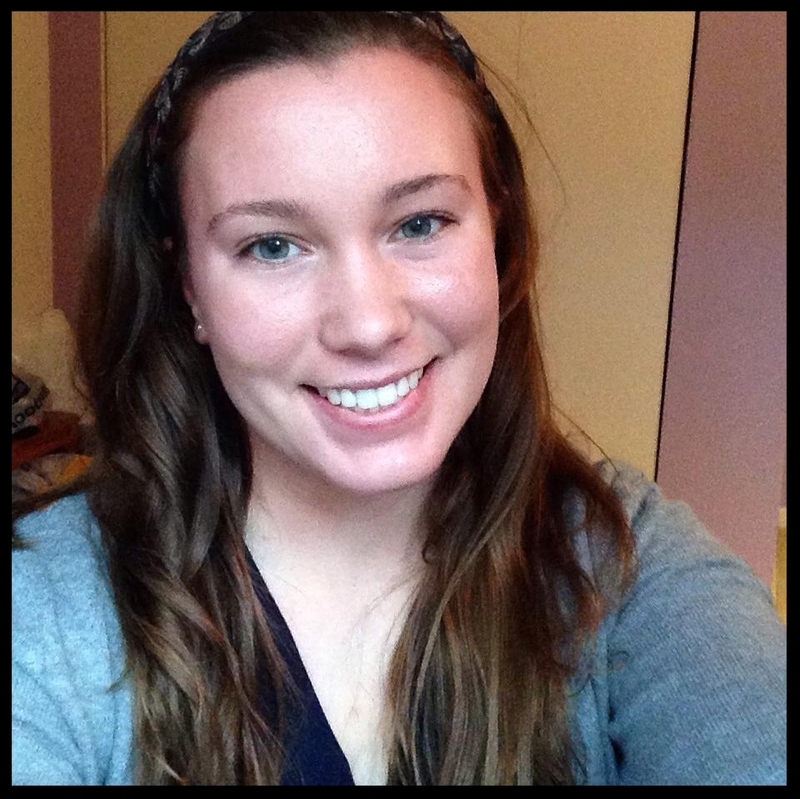 Caitlin Herron is the events intern for Stillhouse Press. She will graduate with a BA in Writing and Rhetoric in December 2017. She also works part time in Parks and Recreation for Fairfax County. It’s finally November and change is in the air. In addition to the cooler weather and falling leaves, thousands of people across the globe have begun a writing challenge of epic proportions: to write 50,000 words of a novel during the 30 days of November. National Novel Writing Month (or NaNoWriMo, for short) began as a challenge between five friends with frustrated writing aspirations, but has become a major creative campaign for writers all over the world. Why do people subject themselves to this writing frenzy? What is the point of just churning out 50,000 words? Check out this realist writer’s guide to what NaNoWriMo can bring to your writing life. To keep on pace, participants must write 1,667 words a day. For many of us with jobs, kids, and school, this is probably more than we write creatively in an entire month. But having a formal challenge can be a great motivation to finally tell that story that’s been sitting in the back of your mind for months. Participating in NaNoWriMo is a tangible way to “write every day,” and even gamifies the process with fun infographics. Knowing that there are thousands of others undertaking this challenge with you (and reading the weekly pep talks from authors and the program staff) can help, too. This is an opportunity to write experimentally, to become Betty S. Flower’s madman and steep yourself in the primordial ooze of pure creative energy. It’s low risk and the work is yours alone—there’s no impending workshop, no prying eyes, no concern for continuity or perfection. It’s an excuse to write what you want, not what you should. What sticks might just surprise you! On average, the standard novel is between 60,000 – 100,000 words, give or take a few thousand. NaNoWriMo likely won’t give you a full manuscript, but that’s okay! What it does give you is a start, one you can revise, tweak, extrapolate, explode, deconstruct, and reassemble. Your NaNoWriMo project doesn’t even have to be a novel; it can be a short story collection, a memoir, or a series of linked essays. Even if you don’t make it across the 50,000-word finish line, you will have more words than you did at the beginning of the month, and that is a victory. Sara Gruen's Water for Elephants began as a NaNoWriMo project (photo courtesy of Workman Publishing). NaNoWriMo critics complain that writing 50,000 words in frenzy mode will only create bad content. The sheer amount of published books that began as NaNoWriMo projects (including Erin Morgenstern's "The Night Circus" and Sara Gruen's "Water for Elephants") have proven them wrong, but the criticism is a valid one. Some of the content you make will be filler: there will be flat characters, plot holes, and plenty of unnecessary dialogue. The good news is you have 11 months to sift through that content and decide what fits your project, what doesn’t, and what might make another, even more compelling story. For every component you find that doesn’t work, there will be one that does—but that’s not a question for NaNoWriMo. December through October is for revising. November is for writing. One of the best lessons NaNoWriMo teaches writers is just how valuable those “transition” times of the day can be. Sitting in a lecture hall waiting for class to start? Bang out a couple hundred words while the professor sets up. Commercial break during your favorite show? Challenge yourself to see how many words you can churn out in those seven minutes. Waiting for your kids to get out of practice? Pull up the Notes App on your phone and get to work. This anytime writing practice may just stick with you for the rest of the year. Chris Baty, NaNoWriMo founder and former program director, gives a pep talk every year in the first week of November, and one pearl of wisdom is always the same: no matter what you’re writing, the only person that can tell your story is you. Every writer has received a critique that claims a work is “derivative,” that it’s “too close” to what already exists. Well, guess what? We all live on the same planet, and the realms of human experience are not infinite. Narratives are culturally ingrained, perhaps even tied directly to our identity as a species. But nobody is going to tell that story the way you will. Nobody will choose the language that you choose or create the characters that you create. The only person that can tell your story is you. So go out and write it. New to National Novel Writing Month? Ready to write a novel? You can participate on your own, or by creating an account on the NaNoWriMo website, where you’ll also find forums, pep talks, a way to track your progress, and more. Michelle Webber has worked as a reader, an Editorial Assistant, and Social Media Editor for Stillhouse Press and currently serves as the Director of Marketing and Communications. She is working on a collection of linked short stories and is a fiction candidate in George Mason University's Creative Writing BFA Program. It's fall and like any true book lover knows, it's time to cozy up with your favorite blanket and relax with a good book. Whether you're picking up the latest book of the season or a classic from the canon, we're here to show your the best places throughout the D.M.V. for scoring fresh reads—our fantastic indie book shops, of course! Bookshelves showcase the usual suspects: the bestsellers, the trending authors, and a whole lot more. The small store doesn’t offer used books, its new titles so densely packed into different sections that they seem almost to blend together. Proud of its local heritage, Kramerbooks devotes a large selection to the city that hosts it, which no doubt pleases history fans and tourists alike. Wanderlust is not lost on the inhabitants of the bustling Dupont Circle and certainly not on Kramerbooks clientele. The Circle is surrounded by embassies from all over the world and gazing upon the brightly colored spines of travel books will have you pining for adventure, from a cheese tour of Vermont to the tropical beaches of Phuket. Like many independent bookstores, Kramerbooks also stays quite busy. Few event calendars can rival the raw frequency of Kramerbooks’ lineup, with an author reading, wine tasting, or music event nearly every night. Because the bookstore is also café and bar, its hours range from early morning to the very early morning. In other words: it caters to early birds and night owls alike and is easily accessible via metro. Take a gander at the clientele and you’ll see architects scribbling down drawings, lobbyists making friends, and the [rare] government official perusing a government docket. For those seeking respite from the hurry of D.C., you won’t find it here. From the bustle to the price of beer, it's clear you're in the city. Madeline Dell’Aria, a Northern Virginia native, is a graduate of George Mason University's BFA Creative Writing program. Growing up she wanted to become a tree, a witch, or an explorer; so she became a writer. In Stillhouse Press Tags Moonshine Murmurs, Indie Bookstores, D.C.